These terms and conditions (“Terms and Conditions”) govern the All Newborn Props Rewards (“Rewards Program”), and members of the program will earn points in connection with the purchase of qualifying online products and online activities that are redeemable towards the purchase of certain products online. Rewards Program started 13/2/2018 and is structured to be effective retroactively to January 1, 2018. Any purchases made since that date will be automatically reflected in your All Newborn Props account. No adjustments on previous (before January 1, 2018) purchases. 2. Eligibility. In order to be eligible for the Rewards Program, you must create an account as outlined in these Terms and Conditions. You may create an account if you are at least eighteen (18) years of age and have Internet access. If you choose to create an account, you are responsible for maintaining the confidentiality of your account, username and password and for restricting access to your account. You are responsible for keeping such information current, complete, accurate and truthful. You agree to accept responsibility for all activities that occur under your account, username and/or password. You agree to provide only current, complete, accurate and truthful information. If you are accessing and using the Site on someone else’s behalf, you represent that you have the authority to bind that person as the principal to all Terms and Conditions provided herein, and to the extent you do not have such authority you agree to be bound to these Terms and Conditions and to accept liability for harm caused by any wrongful use of the Site or Content resulting from such access or use. You may only have one member account per natural person. Persons who are discovered to have more than one account forfeit their points and will be unsubscribed from the Rewards Program. 3. How to Enroll in the Rewards Program. (a) Create an account: Visit www.AllNewbornProps.com (the “Site” or “Online”) and become a registered user of the Site. Click here to be taken directly to the registration page. You will be asked for your first and last name, your email address, and a password. Once you have submitted the requisite information, you are automatically enrolled in the Rewards Program, and are a member (“Member”). 4. How to Access/Change Your Member Information. You must keep your personal information on your Account up-to-date. To do so, click on the “My Account” section and access your account by entering your registered email address and current password. From your dashboard you can access your account information; review your current and past orders; change your profile; update your wishlist. 5. How to Cancel Your Membership. You may cancel account at any time. To cancel your account, please send an email to [email protected] and write “cancel membership” in the subject line. The email must come from the account currently listed on our servers as being associated with your Rewards Program. Upon cancellation, you are no longer a member and any unused points accrued in your account will be forfeited and cannot be redeemed. Points maintain their value only on valid accounts in good standing, and except as otherwise provided here for redemption, have no cash value outside of their redemption value on the Site. 1. General. Members can earn points on the purchase of qualifying online products at AllNewbornProps.com. To receive points for your purchases, you must be signed into your account. You may check at any time to see if you are signed in to the Site by looking in the upper left hand corner of the site. Gift cards do not qualify for point. Other products that do not qualify for points are noted on the Site. 2. Earning Rate. 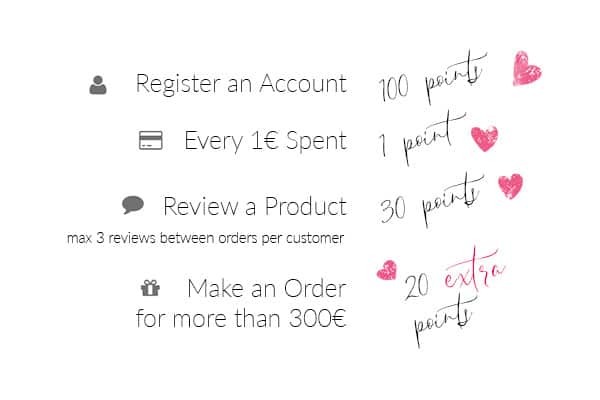 Members earn one (1) point for every one euro (€1) spent on qualifying purchases: (i) qualifying online products, if you are logged into the Website. Points are applied on each product price and not on cart total. This means that points earned by Member are calculated as the sum of points due for each product available in cart. For example, there are two products in cart: Tieback €9.99 and Wrap €79.99. Calculation is as follows: €9.99 x 1 point per euro = 9.99 points, which is rounded down to 9 points and €79.99 x 1 point per euro = 79.99 points, which is rounded down to 79 points. Total points collected through this purchase is 88, which is the result of: 9 points for Tieback and 79 points for Wrap. Points are rounded down to the nearest whole number, after any discounts, only. 1. At the time of account registration. 2. During the purchase of qualifying products. 5. Exclusions. Members earn points only on the purchase price of: (i) qualifying online products. Calculation of points excludes payment by the Member for shipping charges and all taxes, including without limitation, federal, state, and local taxes or use taxes. Points will not be earned on any discounts or other credits offered in connection with a product or service. For example, if a product that is normally €50 is on sale for €25, a Member will only earn points on the purchase price of €25. 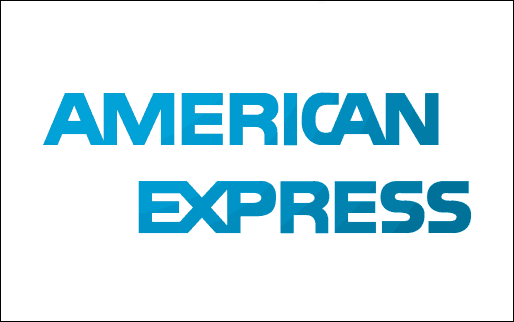 Purchases of gift cards, redemption of vouchers, and any type of price adjustments, including merchandise returns, are not eligible for points. All purchases made: (i) by a Member prior to such member joining the Program, (ii) Online without a Member being logged onto the Website with the Member’s Account number linked to the Member’s Online account, are not eligible for Rewards Program credit. 6. Returns. Points earned for a purchase that is then the subject of a return, refund, declined credit card or gift card, or other credit will be deducted from your account in an amount equal to the points earned for the original transaction, including any bonus points that may be applicable. If a return will cause your account to have a negative point balance, you will not begin earning points again until your points balance is returned to zero (0), by making purchases, or engaging in other promotional activities offered from time to time. 7. Bonus Point Promotions. From time to time, All Newborn Props may run certain bonus point promotions. Under bonus point promotions, Members can earn additional or “bonus points” in connection with the purchase of certain online products. When you purchase these specially mark products, or make the purchase during a bonus points time period, you will earn bonus points on each product, as specified in the offer. 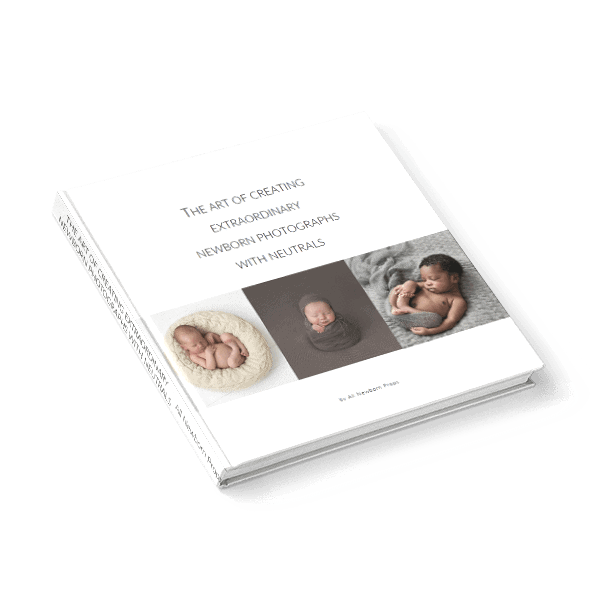 Bonus point promotions are subject to the terms and conditions of the offer and may be offered at any time in All Newborn Props sole discretion. Bonus point offers cannot be combined with any other offer. 8. Limitations on Bonus Points and Points, Generally. These terms apply to points and bonus points accruals. If you purchase a product during a promotion and the product comes with an additional, free product, points will not be issued on the retail value of the free product. If you redeem points towards the purchase of a product and pay a portion of the retail price after the point’s redemption, you will receive points only on the leftover retail amount you pay, and not on any value attributed to the point you used. If you redeem points towards the purchase of a product in an amount equal to the full price of the product, you will not earn any points. 9. Non-purchase Options for Earning Points. You may also earn additional points on non-purchase activities. From time to time, All Newborn Props may offer you the chance to win various prizes, and earn points, for entering into promotions. Rules and restrictions will apply to such promotions and may be found on the entry page of any promotion. 1. How to Use Your Points. You are not eligible to redeem points until you have earned 100 points. Points must be used in increments outlined in these Terms and Conditions. You cannot redeem Points for more than the 30 percent amount of your purchase. The minimum purchase for which point will apply is €10.00. Points may only be used Online at the AllNewbornProps.com website. Points can be redeemed in any combination of the point and increment amounts when you have earned 100 points at least. Redemption of points towards purchases of products is subject to product availability. Your rewards points can be used to redeem a rewards goodie item (pending you have enough points) and/or a discount on your order total (pending you have enough points). Please note, if you are redeeming points for a discount on your order total AND applying a discount offer code, the first discount applied to your order total will be from your point redemption and the second discount applied to your order total will be from the discount offer code. 3. To Redeem Your Points. 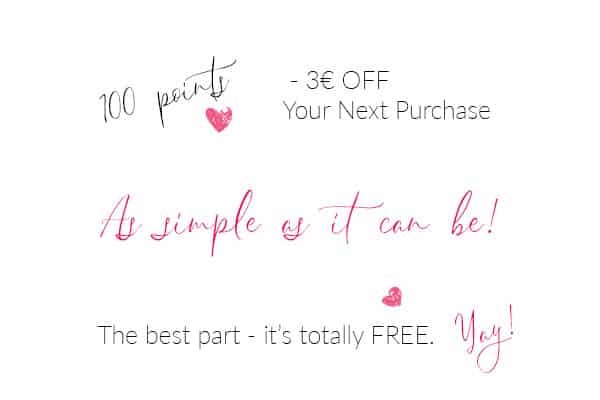 To redeem your points, you must make a minimum purchase of €10.00. Once you have added product from the Site to your shopping basket and have clicked on the CHECKOUT button, you will be directed to the payment section. Select “Redeem Points” and select the amount of points you would like to redeem. Your total payment amount will be discounted by the amount of points you allocate to the purchase. Note that points may only be redeemed for the purchase price of the product. Sales tax, shipping, and other handling charges assessed in addition to the price of the product are your responsibility and points may not be used to discount these additional charges. 4. Exclusions. Only one account per natural person. Points may not be transferred or gifted at this time. Points accumulated on different accounts by different users may not be combined or aggregated to make purchases of products or for any other reason. Points earned in a transaction cannot be redeemed in the same transaction. Points have no cash value outside of the AllNewbornProps.com website and are available only to members in good standing. 5. Points Expiration and Time Lapses. All points acquired, whether standard points or bonus points, shall expire 365 days from the date the points are added to your account. Points expire 365 days from the date in which they were assigned to your account, regardless of point status (on hold, approved, etc.). Specific onsite activities in which points will be awarded are set to accrue points based on a time lapse at the discretion of All Newborn Props. Sign up: points are added to your account instantly (points were added to existing customers‘ accounts already). Order: points are added to your account when your payment is completed. Review: Max 3 reviews between orders. Points are added to your account instantly (points can be removed if the review is not approved). – All submitted reviews are read by our moderators and are subject to our terms. All Newborn Props reserves the right to not post a review or to withdraw a posted review for any reason. Your review will be excluded if it violates our guidelines and/or general terms. By registering with AllNewbornProps.com and joining the Rewards Program, you agree to be bound by the terms and conditions set forth in these Terms and Conditions, as well as any other terms that may be associated with the Rewards Program. All Newborn Props reserves the right to cancel, modify, suspend or restrict the Rewards Program, your account, the redemption of points, or any aspect of the Program, including, without limitation, the point conversion ratio and the point expiration policy at any time. Any changes can be made without advance notice. All Newborn Props may make these changes even though such changes may affect your ability to use points already accumulated. You are responsible for remaining knowledgeable about the Program Terms and Conditions. A Member’s points balance, as reflected in All Newborn Props records, shall be deemed correct. All Newborn Props reserves the right to determine the amount of points in any Member’s account based on All Newborn Props internal records related to such Member’s account. In the event of an inconsistency between the amount accrued in a Member’s account as stated on any Member’s receipt and All Newborn Props internal records, All Newborn Props’ internal records will control. All Newborn Props assumes no responsibility for errors caused by incorrect Member information. Your right to transfer points earned or granted under the Program is strictly limited. The sale of points is prohibited and may result in the confiscation or cancellation of your points as well as suspension or termination of your membership, which in each case shall be final and conclusive. All transactions involving points and all Member accounts are subject to review and verification by All Newborn Props. The points balance in a Member’s account may be unavailable for use when an account or transaction is under review. All Newborn Props may revoke any Member’s membership in the Rewards Program at any time if such Member engages in abuse of the Rewards Program or fails to follow the terms and conditions of the Program. Fraud or abuse relating to the accrual of points or redemption of rewards may result in revocation of membership in the Program and may affect a Member’s eligibility for participation in any other All Newborn Props program. Points are non-transferable and cannot be redeemed for cash. The interpretation and application of the Program’s Terms and Conditions are at the sole discretion and determination of All Newborn Props. For more information or other questions, click on Contact Us. The Terms and Conditions of the Rewards Program are subject to change at All Newborn Props’ sole discretion at any time and without notice to customers. Upon customer’s at-will termination of their AllNewbornProps.com registered account, or if a customer is termination for violation of these Terms and Conditions or other activities in violation of the intent and good faith intended use of this Site, all points will immediately be forfeited and will no longer be redeemable. All Newborn Props will make reasonable efforts to award points as outlined above to all 1. registered and 2. qualifying AllNewbornProps.com customers, but is not responsible for any technical or unforeseen errors that may occur. Points are nontransferable, nonredeemable for cash, are nonrefundable and are not valid outside of AllNewbornProps.com. Purchases made outside AllNewbornProps.com are not valid for point accrual.